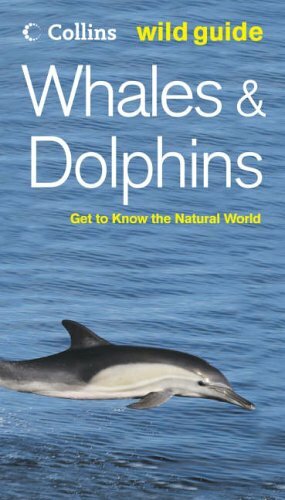 Presenting an introductory guide to 96 species of whale, dolphin and porpoise, this book serves as a companion for whale-watching trips throughout the world. Each species is illustrated with a photograph and includes information on size, geographical distribution and diet. It also contains information on whether the species is under threat. The perfect introductory guide to 96 species of whale, dolphin and porpoise that you are likely to spot on your whale-watching trip. More than 4.3 million people went on whale-watching excursions in 1998, and the number has been rising steadily since, signifying a growing global appreciation of these magnificent mammals and their environments. This pocket-sized guide is the ideal companion for whale-watching trips throughout the world, helping you to identify each species and discover more about them. It includes a detailed description and the ID Fact File provides at-a-glance information for each entry. Each species is illustrated with a stunning photograph, depicted as encountered on observation trips. It includes information on size, geographical distribution and diet. It also contains information on whether the species is under threat and protection. The entries are organised taxonomically, and each two-page spread is devoted to a different species. Packed with information and easy-to-use, "Wild Guide Whales and Dolphins" is the ideal guide for those wanting to learn more about these fascinating creatures.